The LynQ is a "smart-compass" that locates anyone without the need for phones, subscriptions or cellular-based infrastructure of any kind. It works by leveraging GPS, LoRa (Long Range, Low Power Wireless), a custom antenna and a set of proprietary algorithms and communications protocols developed by the LynQ team to create a unique peer-to-peer connection. LynQ is calling this device the most accurate, long-last and, long-distance device that can locate people anywhere in the world, without the needs for phones, infrastructure or even a map. Using a very intuitive and friendly interface, which allows 12 simultaneous pairings, users see where others are on the single back-lit display. The display will tell you how far away others are, which direction and display a username, if you're pair to multiple other LynQs. The LynQ should be able to take on all elements as well, as it is weather-proof and manufactured from "military-tested" materials. LynQ didn't list the IP rating online, but after reaching out to them they told me that the device is IPX7 rated and is made from PC-ABS plastic. They also noted that they are trying to improve upon the IPX7 rating before the LynQ is available commercially. The LynQ weighs in at 73 g and is only 4" tall! Depending on the landscape you find yourself in, the LynQ has a signal range of up to three miles, so despite being marketed of being able to track "anyone, anywhere in the world", be sure to keep the real-world use in mind The LynQ will work anywhere in the world, yes, but you have a range to other paired LynQs. The LynQ software allows users to set a home base, ensuring everyone meets up at the correct location. Possibly even more important than the home base feature is the "Safe Zone" feature which ensures that one does not stray too far. If a user leaves the safe zone, paired devices will vibrate and ring to alert you to the event. LynQ notes battery life of up to three days on a single charge. I hope this translates to real-world battery life. If you are taking this off-grid, you don't want to worry about the need to charge daily. Perhaps the most notable feature for me is the messaging capability the LynQ offers. In cases where you are off grid and perhaps have not made it back to the home base on time. The LynQ allows users to send short messages to paired LynQ devices. It is an added comfort for those you are out with, to let them know you are safe and could play a key role in the even you get into a situation where you need immediate help. Child safety – Parents can feel comfort in knowing exactly where their children are while allowing them the freedom to explore. 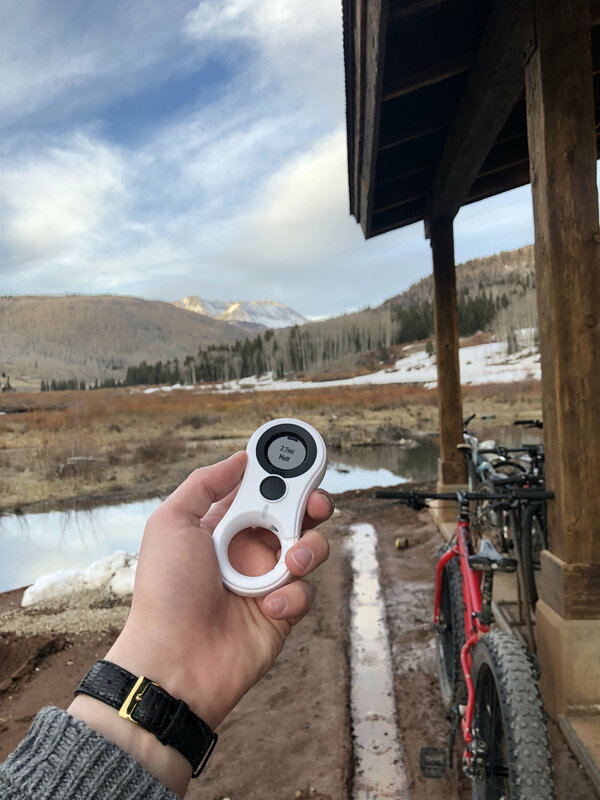 Any off-the-grid activity - Adventure seekers, such as skiers, hikers, travellers or cyclists, no longer worry about phone signal, maps or phone battery life. Alzheimer's / Elder Care - Caretakers and family members can monitor their patients of loved ones that are a risk to wander. Special Needs Care - Wandering is a leading cause of death among Autistic children. Public Events - From music festivals to sporting events, networks are often overloaded, eliminating cell signal while maps are useless in crowds and without landmarks. Disaster Recover and First Responders - When locating people is a matter of life and death, and infrastructure is destroyed, LynQ is able to save lives. Pets - Keeping tabs on pets during hikes or animals in open fields has never been simpler. That is a pretty broad set of use cases, and I am sure there are plenty more applications for a device like the LynQ. Where Can You Get The LynQ? LynQ is available now for pre-order on Indiegogo and for a limited time a "super early-bird special price snags you a 2 pack of the LynQ for $154 (USD). That's a savings of 48%! Hit the Indiegogo logo below to check it out! What do you think about the LynQ tracker? I personally think it could finally be the tracking device we have been waiting for. Let me know what you think in the comments. I would love you hear from you.